You’ve probably heard the saying, “Two heads are better than one.” We’ve taken that to heart at O’Dell Chiropractic. With two chiropractors you get the benefit of extra brainpower. Especially with difficult cases. O’Dell Chiropractic Center has become an ‘institution’ in the Walled Lake/Lakes Area community since 1970, and has been staffed by three generations of O’Dells. They are a family on a mission to help their patients experience better health, naturally. Patients of O’Dell Chiropractic have the advantage of experiencing the varied skill sets of the two different doctors listed and yet know the assurance of a health team that is procedurally efficient and truly first rate. 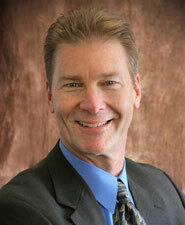 Dr. Randy O’Dell, is a seasoned doctor with over thirty years of experience. He attended Oakland University for his pre-chiropractic studies, and received his bachelor’s and doctor of chiropractic degrees from Palmer College of Chiropractic. Dr. O’Dell serves as a member of the Board of Trustees of Life University and Life Chiropractic College in Marietta, Georgia. His duties keep him active in issues of university development, including grant funding and new programs. His enthusiasm for chiropractic education and alternative methods in healthcare naturally have led him to be recently board certified in Anti-Aging Medicine. He has a deep and abiding interest in the care of his patients and their bodies natural healing capabilities, and is a sought-after speaker in the chiropractic profession, and also for employer/employee wellness seminars. 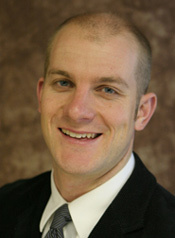 He is currently serving as Oakland County’s district Board Member for the Michigan Association of Chiropractors. Dr. Chris O’Dell first began working at O’Dell Chiropractic Center in 2005, after graduating from Life College of Chiropractic. His passion is to help people to see their lives are designed for health. “When people can understand what True Health is and how they can achieve it, they realize they can overcome anything.” Dr. Chris’s experience with exercise, specifically for structural correction, provides cutting edge protocols to our patients. He is committed to helping people maximizing their health through reducing and eliminating toxins, maximizing nerve supply, nutrition, exercise, and healthy relationships.